Published on 29 October 2012. When I was younger, my nan used to buy my brother, my sister and me a liquorice selection box for Christmas, until one Christmas they seemed to no longer be sold. 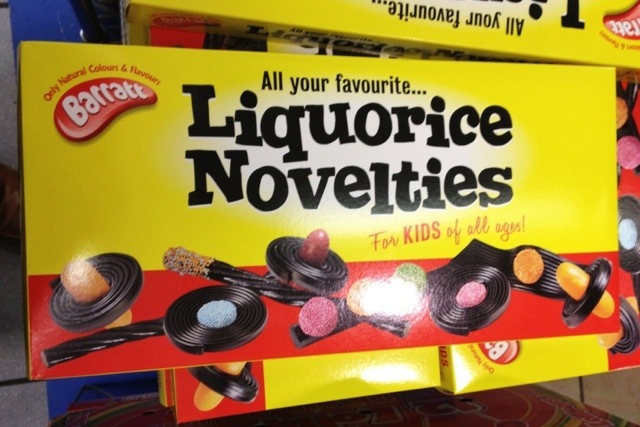 I was no less than amazed, therefore, to come across this in a shop… it’s almost exactly as I remember, though without the liquorice pipe which I guess isn’t considered a suitable present for kids these days! This 1,868th post was filed under: Photo-a-day 2012, Christmas.